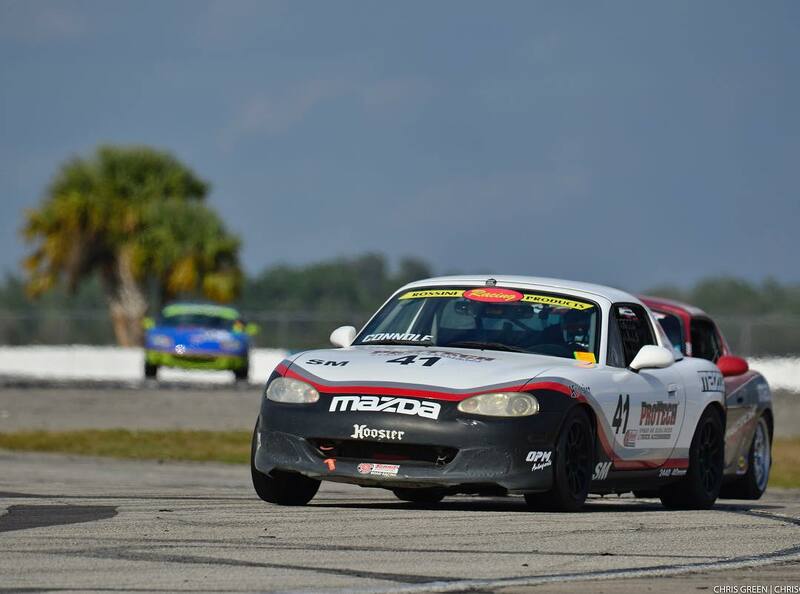 Sebring is a busy, demanding and very bumpy driver’s circuit, but even at this track, in Spec Miata, a drafting buddy does make a difference. 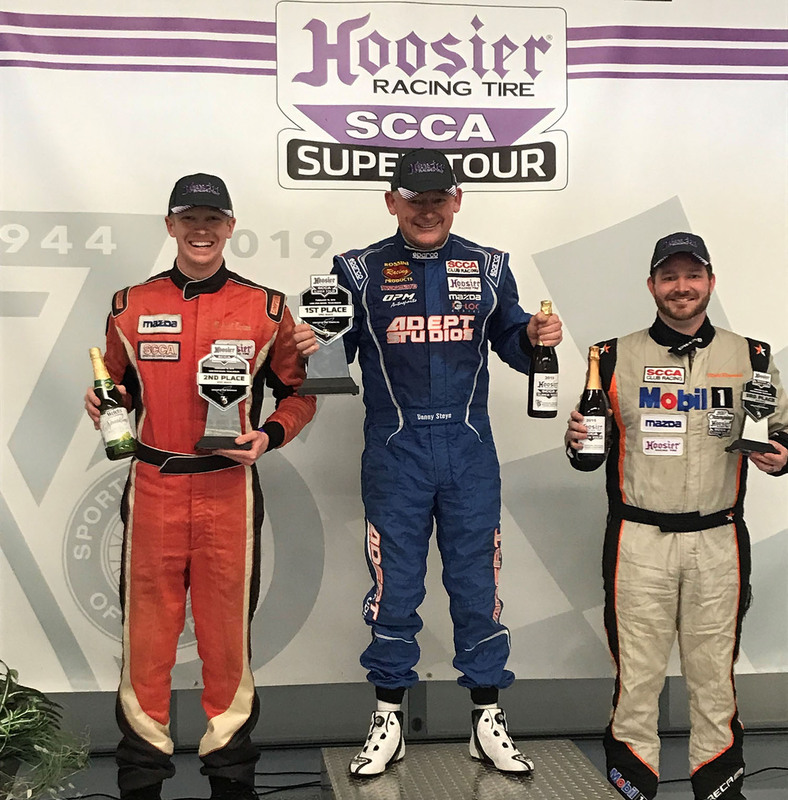 In Qualifying Session 1 new-to-Spec Miata Jarred Thomas pulled off the upset, nailing the provisional pole, and Rossini driver Danny Steyn finished in 2nd spot. 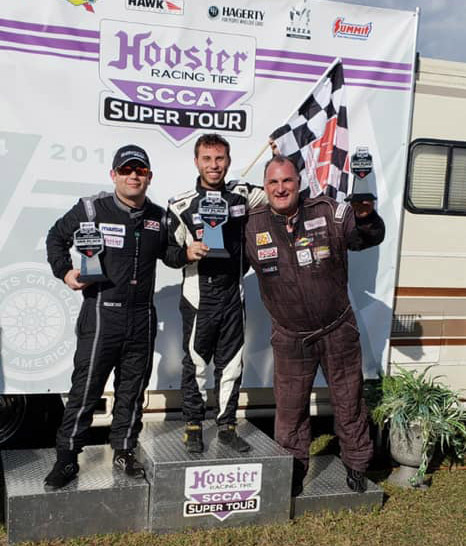 Todd Buras, Preston Pardus, Elivan Goulart, Jim Drago and Rossini driver Michael Carter all qualified within 1 second of Thomas. Qualifying 2 was the cooler session and as expected the Q1 times did not hold up. 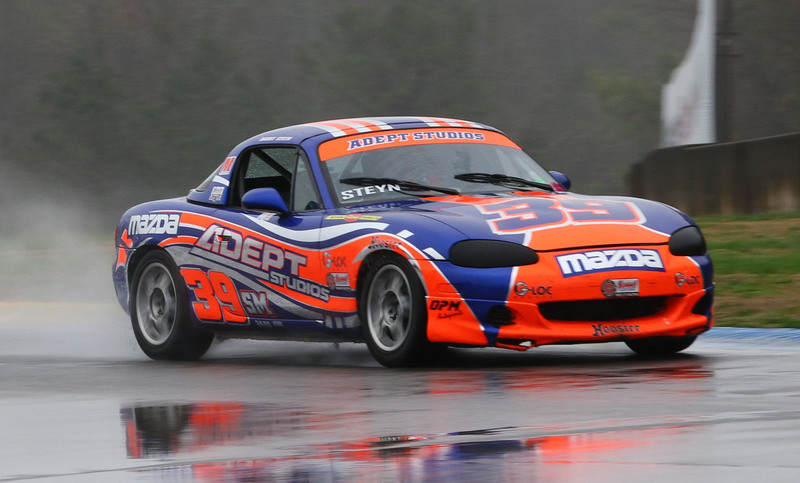 In Q2 Pardus and Carter teamed up and Steyn and Thomas worked together producing one of the closest grids in Spec Miata history. Pardus was on pole with a 2:34.600 – Carter was 1/1,000ths second behind, Steyn was a further 66/1,000ths behind in 3rd and Thomas was a further 15/1,000ths behind Steyn. 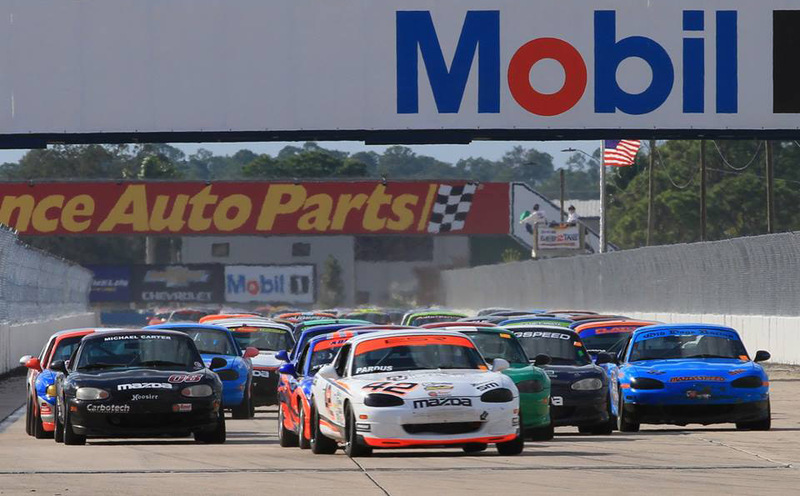 The top 4 drivers qualified within 92/1,000ths with Rossini powered cars 2nd and 3rd on the grid for Race 1. The top 11 cars all qualified within 1 second, confirming what a competitive class Spec Miata has become. In Race 1 – Steyn pushed Pardus to the lead and they settled into a 1-2 formation with Drago and Carter on their tail. This lasted for two laps when Steyn missed a shift allowing Drago and Goulart to pass. The next lap Carter and Thomas moved past Steyn and the running order was Pardus, Drago, Goulart, Carter, Thomas and Steyn. Up front, Pardus was mistake free and Drago and Goulart weren’t able to challenge for the win. Behind them Carter, Thomas and Steyn couldn’t organize themselves into a chase, and ended up racing hard to the line. 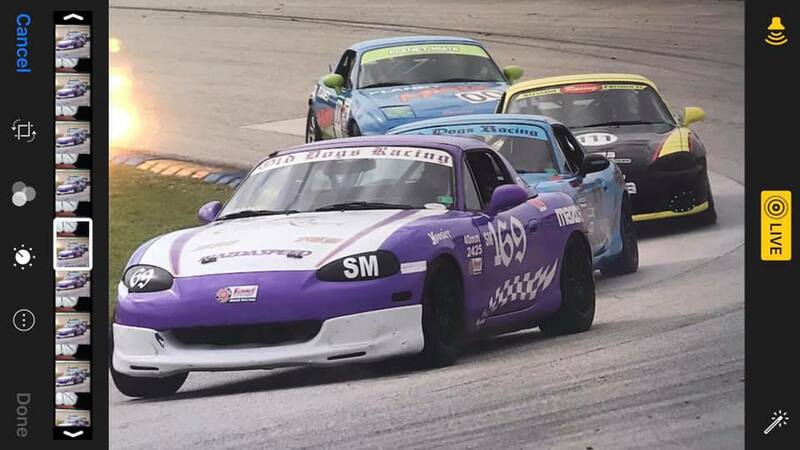 The Finishing order was Pardus 1st, Goulart 2nd Drago 3rd, making it an ALL National Champion Podium, possibly the first time three National Champions have stood on the podium together in Spec Miata history. Thomas finished 4th, Carter 5th and Steyn 6th . In Race 2 Steyn again pushed Pardus to the lead but this time the right hand side of the grid held its own and Carter moved into 2nd ahead of Steyn through the carousel, with Drago and Thomas behind. This was the order through the the end of lap 1, when Drago and Thomas passed Steyn. 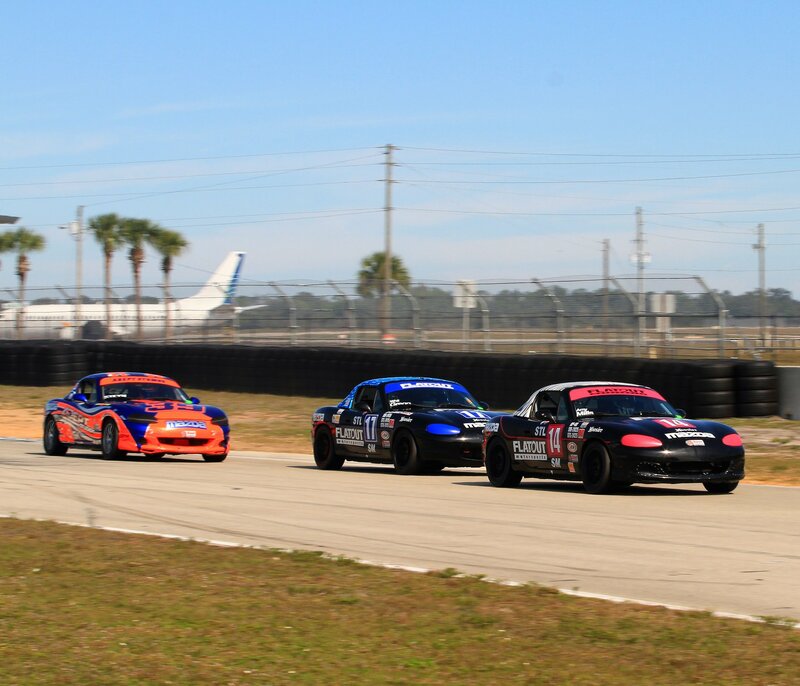 Unfortunately a car in the exit of T16 brought out the Full Course Yellow and several laps were run under caution. At the restart Pardus got away cleanly followed by the rest, but Steyn had a poor restart and was passed by Buras and Goulart. Only one clean lap was run before the FCY came out again for cars into the tire wall at the exit of T17, and race was stopped under Yellow. Unfortunately, Rossini racer Jason Connole was slammed by the flying tires, but fortunately he was unhurt. 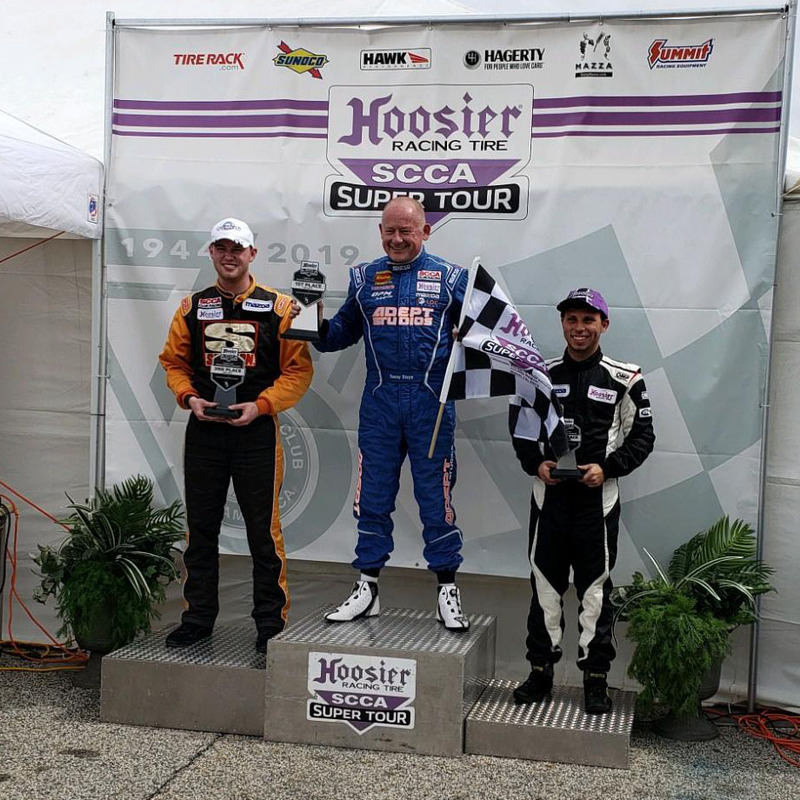 This time the podium was equally historic with Pardus 1st, Carter 2nd and Thomas 3rd. 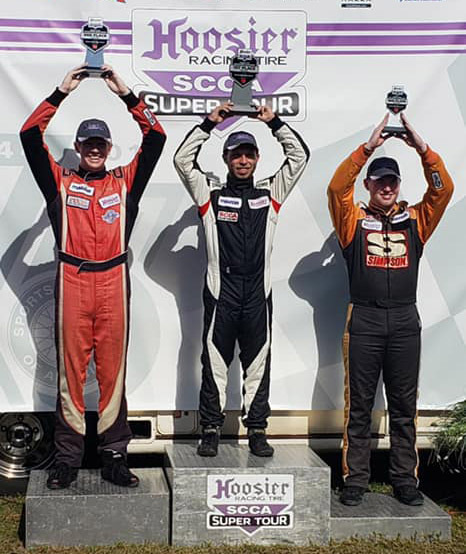 These three racers have a combined age of only 61 years but between them they have more than 42 years of racing experience. 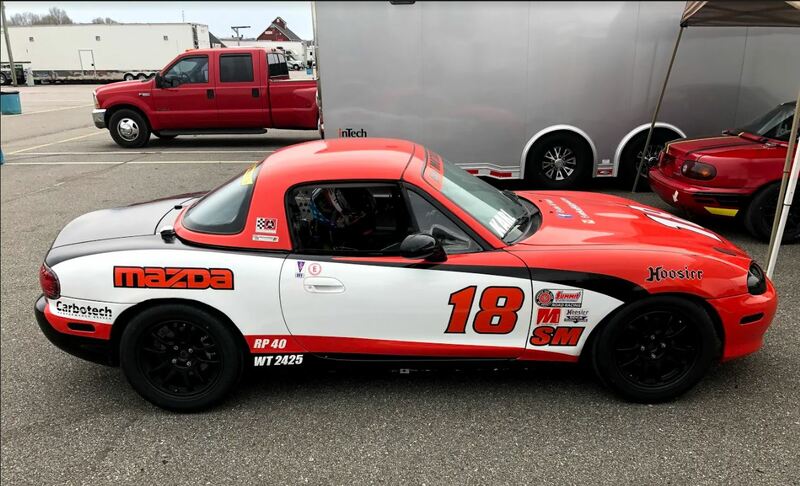 This certainly shows where the future of this class lies, and is a wonderful insight into the strength of this amazing class called Spec Miata.